Turn on and journey into your personal portal into your inner space. The Lucia N°03 helps the you travel into an active dimension of your mind without any effort or long-term practice. The desisre to change expirence and behavior above consciousness can be seen as an attempt to drive the wrong way down a neuropsycholoical path. Tune IN and understand the outer reality, the "is" state is positioned with the "should be" state, which is aimed for through the use of Hynagogic Light Expirence. When presented with light, the electrical activity in the brain changes. The pineal gland (glandula pinealis) is stimulated to produce mind-activating hormones that have a significant influence on the circadian rhythm. This small light organ, deep inside the brain, has always been a matter of speculation. Not without good reason, the gland is frequently also called the “third eye”. In the case of the tuatara, a living fossil, the third eye still has a lens rudiment and papillary muscles innervated by the sympathetic nervous system. Even in the area of the human pineal gland, tissue cells, as we find them in the eye, could be histologically detected. The Light Projekt is a Barcelona initiative centred around the Lucia N°03 Hypnagogic Lamp developed by clinical psychologist Dr Englebert Winkler and specialist in Neurology Dr Dirk Proeckl. The Lucia N°03 is a stroboscopic lamp controlled by a dedicated software system that has the effect of inducing in the experiencer various states such as deep relaxation, meditative or dream-like states and various transcendental experiences. It is increasingly used in therapeutic settings as well as in research environments relating to entheogenic or perceived near-death experiences. 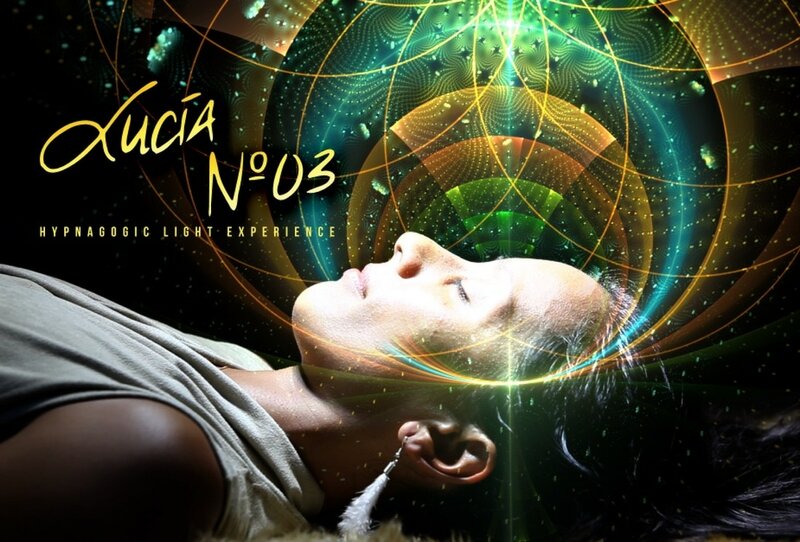 Lucia N°03 as a neurostimulator therefore is capable of inducing experiences that can be compared to deep relaxation and meditative states, mystical experiences, simulations of the Near-Death or Out-of-Body experience and realities experienced under entheogenic substances such as DMT. Neurologist and psychologist now working in private medical practice, focussing on the interaction between the psyche and the nervous system. medicine - universities of Saarbrücken, Regensburg, München. Clinical & health psychologist, supervising psychotherapist, and legal expert witness, graduated in Innsbruck 1989 with qualifications in philosophy, pedagocics and psychology, later adding additional certification in logotherapy, existential analyses and hypnotherapy. In 1994 Dr. Winkler founded the Kooperative Familieberatung, a Tyerolean governmental welfare initiative offering both out-patient and residential care, with particular emphasis on the care and treatment of children and young persons with extreme behavioral problems.The centre, of which Dr. Winkler remains director, has developed outreach programmes for homeless teenagers and those not fitting the criteria for admission to other centres. The XXL-project of Kooperative Familienberatung is designed for a maximum of eight teenagers aged between 14 – 18 to live in their own apartment. By using neurostimulation lamp Lucia N°03, with our natural sensory channel of vision, the interdependency between the state of consciousness, brain waves and hormone production is illustrated. The resulting brain activity recorded shows in its analysis an image of increasing harmonisation which, depending on the characteristics of the light and willingness of the viewer, corresponds to a state of deep relaxation and the highest level of concentration. The activity of the brain is reflected in the eye of the beholder in previously unseen scenarios and the client learns be guided by this bidirectional neuro feedback. This phenomenon of central vision in Hypnagogic Light Experience results in the merging of object and subject. Wouldn’t it be wonderful to tap into the power of your subconscious to change your life in 40 minutes? Hypnotherpy can effectively break negative thought patterns and life-long negative habits. It opens your mind to positive changes, allowing life changing transformation to take place. The magic has to do with a switch in your brain called the Reticular Activation System. 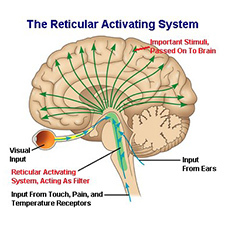 The Reticular Activation System plays an important role in our day to day lives. It is best known as a filter as it sorts out what is important information that needs to be paid attention to and what is unimportant and can be ignored. Without this filter we would all be over stimulated and distracted constantly. The irony is that in today’s world we are over stimulated with the speed of technology, cell phones, computers, instant messages, negative news on TV, texting, interactive games, email, you name it - it demands our attention! So imagine being in control, filtering out negative thought patterns and having the power to program your own Reticular Activation System to whatever you want to bring into your life? It is just like setting your radio to your favourite music station. You set your RAS daily at an unconscious level. For example, think of the last time you purchased a car… then all of a sudden you start noticing how many cars there are that are the same colour, make and model that you just bought. You just unconsciously set RAS. People who say “I am not very confident” are not very confident. People who say “I am always late” are always late. People who say “I will never have enough money” never do. Through hypnosis you can re-program and tap into your subconscious mind to set your RAS to the transformative direction of your choice. When I work with clients I help them identify exactly what they want to bring into their life, whether it be financial abundance, self confidence, a really good nights’ sleep, dealing with grief, writing exams, improving health, eliminating stress and anxiety, love and relationships or a new job. Imagine taking charge of what you want to bring into your life. Visualize the changes you want to make, then start setting new goals and actually achieve them. This is your time for reprograming your RAS to look for all the things you want to bring into your life. Life is not about finding yourself it is about creating yourself. Visualize yourself shifting from fear to fabulous freedom. Hypnosis is a natural state of selective, focused attention. It is 100% natural and normal. You are in a hypnotic state several times a day without realizing it. It still remains one of the most fascinating phenomena of the human mind. Clinical Hypnosis taps into our ability to enter a unique state of consciousness that opens the door to countless possibilities for healing, self-exploration and positive changes. Hypnosis has been recognized for thousands of years and used for many purposes. When we enter into the absorbed state of hypnosis, we can use our thoughts, talents and experiences in ways not usually available to us. 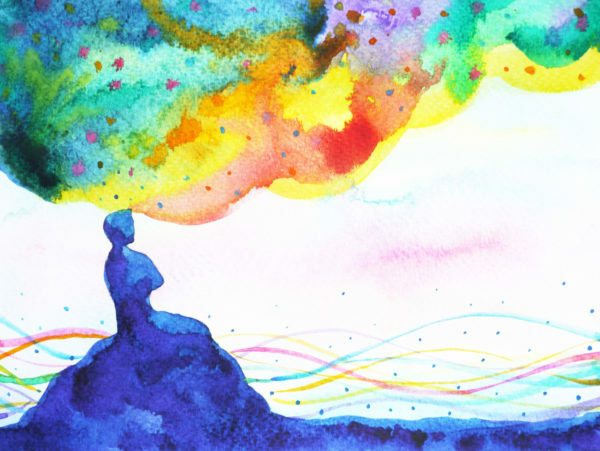 With the help of a trained professional, you can open your unconscious mind that enables making desired changes in our thoughts, feelings and behaviors possible. Our bodies respond physically through our thoughts. For example, think of a time when you were watching a scary movie; your body may have experienced an increased heart rate, shortness of breath, sweating, “butterflies” in the stomach, your hand making a fist, shaking, and from what? Just a thought! Now imagine what happens when we think a pleasurable thought, we can experience reduced heart rate, smiling, deeper breathing, relaxation of muscles, more focus and the ability to make better decisions. These are autonomic nervous system responses that are involuntary, but they can be utilized to promote health and wellness. When hypnotized, you are very open to suggestions that can enhance positive and diminish negative physical reactions. The word hypnosis comes from the ancient Greek word ‘hypnos’ meaning sleep, but you are not actually in a sleep state. Although the sensation may seem similar since you are very relaxed and have your eyes closed. In trance you are in a relaxed state, but with heightened awareness. If you were to fall asleep during a session you would return to normal consciousness when asked to, or simply awaken after a short nap. You would feel refreshed and relaxed. Are you sure I was hypnotized? I heard every word you said! Some people, after a session of hypnosis, don’t believe that they were hypnotized at all. There are differences between the brain waves of people who are asleep and those who are in hypnosis. During clinical hypnosis, you are very aware and sometimes talk with the hypnotist, and can both answer and ask questions, and hear everything that is said very clearly. When under clinical hypnosis I cannot make you do anything you don’t want to do. Hypnosis allows you to be more focused and less distracted. In this way, you will better achieve your goals, and actually achieve more control of your personal health and well-being. The ‘control’ misconception appears to originate from stage hypnosis which actually involves people doing what they want to be doing in a social setting to be entertaining. • Feel worthwhile, self-confident and zestful. • Gain a happier home life; become a better husband, wife, parent, or friend. • Acquire the ability to completely relax in any situation. • Increase the quality of your emotional expression. • Reduce conflict and stress. • Regain your natural ability to sleep easily. • Sell yourself, your ideas, and your services with confidence and enthusiasm. • Attract and maintain worthwhile friendships. • Discover your negative mental patterns and how they affect you. • Free yourself from hostility, resentment or fear of rejection. • Select your goals in life and chart your course for their realization. • Program your mind with positive mental concepts and success attitudes. • Develop the ability to construct mental images easily. Click Here to learn more about Clinical Hypnosis and the International Medical and Dental Hypnotherapy Association. My past career involved working in the medical community and in hospitals as a practical nurse. During this time, I had the honor of working with a family doctor that practiced Hypnosis in Victoria. B.C. (1989). I was so impressed on seeing people’s lives changes with the power of their minds. He treated many conditions; from fear of flying to shutting down that voice in your head to get a good night’s sleep. He showed me that clinical hypnotherapy is a proven drug free solution! I completed my Hypnotherapy studies through The Canadian College of Advanced Hypnosis and Hypnotherapy and Rational Emotive Behavior Therapy (R.E.P.T) through Renaissance Life Therapies Training Academy. My studies also include diplomas in Cognitive Behavioral Therapy for Depression, Anxiety, Phobias and Panic Attacks and "Take Back Your Life" Narcissistic Abuse Recovery Therapy, Certified Life Purpose Coach and the art of Indian Head Massage. I am honored and privileged to have my articles on Narcissistic Abuse Recovery published to reach out to people who really want to change their lives. I love working with clients and I know everyone holds the power to shift into their own passions and desires with inner strength. Yes, it really is an inside job, you will see and feel what a difference just one session makes. Additional Sessions - 1 hours - $50.00 - ask about our double session price on your first visit. Single Sessions of Hypnotherapy are available at $100.00 - includes materials..... Great for Sleep, Releasing Stress & Anxiety, Self Confidence, Fears, Controlling Negative thought patterns. Hypnosis package - 3 Session Package including Lucia Light : $250.00 Includes all materials and tools to jumpstart and excel your sessions. Includes one personalized recording on CD or MP3, or download into your tablet or computer. Session One: (90 minutes) This is all about you feeling comfortable and getting to know who you are and what you desire in your life at this time. It also includes a mini introduction hypnosis session on releasing stress and anxiety. This allows you to fully experience the magic of hypnosis. Session Two: This session is all about transformation. You will receive one custom download session created for you to use in between sessions. Let the magic begin. Sessions Three: Follow up hypnosis sessions on further developing your own self-awareness. Past Life Regression Session: $175.00 Includes one consultation meeting that includes a mini Hypnosis session and then a full 2-3 hours for Regression session. Bookings are available on Saturdays for these sessions. Payment: Visa and MasterCard, E-transfer, Cash and Checks accepted. 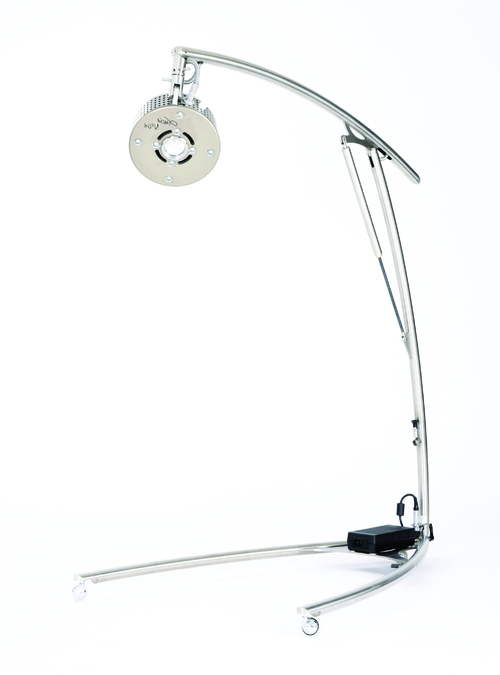 Many extended health plans now cover Hypnosis & Lucia Light Therapy, check with your provider. Includes: Two recordings and Heang Manual . The secret to healing from narcissistic abuse isn’t focusing on the abuser. It’s actually the opposite. It’s focusing on healing yourself. Do you feel like you are living your life in constant fear? Being Stressed out? Tired of walking on egg shells and constantly combating that nervousness that never goes away? Are you feeling uneasy about the decisions you make in your life or changes in your life? Do you find yourself imagining the worst-case scenarios and negative outcomes of what might happen if you take the risk to get what you want? Do you lack self-esteem and confidence within yourself? If you answered yes to any of the questions above, then your fear may very well be limiting you in your pursuit for true happiness, purpose and calm in your life. What am I going to get from these 3 powerful life transformation sessions? I am so pleased that you tapped into this special part of this website! I am excited to share the most powerful key to Financial Abundance with you. Guess what... you ARE entitled to miracles! Positive programming is how to begin to make them happen. Imagine tapping into your beliefs that no longer serve you and discovering how they have actually held you back from creating the life you really desire and deserve. Do you want to earn more money? How much more do you want to earn next year? You may think you're doing everything possible to achieve your goals. But what if there's an unconscious part of you which doesn't believe you can do it? How can hypnosis help me earn more money? Hypnosis can help you uncover and remove the mental blocks which prevent you from achieving the wealth and success that you believe you are capable of achieving. By the power of hypnosis you will begin to understand what it is inside you that has prevented you from making the money you want, and the secrets of abundance will be revealed to you. Hypnotherapy can help you to believe in yourself, to build up self confidence and motivation and to develop more clearly defined outcomes for your life. Deep relaxation techniques can help you to focus inwards and start to really believe in yourself and your goals. How much do you want to earn next year? How much do you want to earn next year? You can decide exactly what abundance means to you. You will develop an abundant state of mind - a wealthy "mind-set." This 3 session program will change your relationship with money. Whether you are starting a new business or wanting to increase your sales in your existing job this is an excellent way to get started. Financial abundance is a simply a mindset. Many people just want more money and if your reading this, chances are you are one of them. Everyone wants something - be it something physical, emotional, mental, or spiritual. But we don't all want the same things - some may want only enough to get by, others may want it all. You hold the power in your mind to go after whatever works for you. Imagine or Visualize what you want to achieve. It may be doubling your income, being able to afford that new home, car, and then see how you feel in that state of mind right now. Are you thinking of that new red sports car or maybe that lovely home you drove by last week? If only I could have a home like that or if I could only drive a new car. Do you feel nervous? Excited? Worthy? Uncomfortable about being rich? Are there people around you who are giving you weird looks? Are you fearing people’s jealousy? It may be doubling your income, being able to afford that new home, a new car, and then see how you feel in that state of mind right now. Are you thinking of that new red sports car or maybe that lovely home you drove by last week? "If only I could have a home like that or if I could drive that new car." Does this make you feel nervous? Excited? Worthy? Uncomfortable about being rich? Are there people around you who are giving you weird looks? Are you fearing people’s jealousy? Even though we keep saying how much we crave and want financial abundance, there may be blocks and fears that may be preventing you from fulfilling your goals and dreams. You may be your own worst enemy, but the magic begins from knowing what is stopping you, and the miracles begin by working on what you do want. You know, these fears do not show up as plainly as, “Oh, I am afraid of success”. They show up in procrastination, missing out on opportunities, not being present at the right place at the right time, turning down lucrative offers, and an inability to get out of your comfort zone. All these mind beliefs will block your financial abundance without consciously being aware of it. This is your time to focus on finally removing any stumbling blocks in your mind that effect your day to day reality. Just think for just a moment... how exciting it would it be to achieve exactly what you want. Imagine being connected and really enjoying working on your incredible new future. 1. Limiting beliefs - I am not talented enough. 2. Self confidence - No one will give me chance; I will never find a new job that will pay me what I am worth. 3. My comfort zones and ceilings (how can I make more money if I am on a monthly fixed income or I will have to work way harder to earn more etc.). 4. Fear of success - If I start earning more than my husband, he will not like it.I will not fit in with my close friends who are all broke, what if this does not work? 5. History - My parents did it this way and it is what I am used to. 6. Ownership - It’s not my fault that my boss is an ________. 7. Vision - I don’t see or imagine how this can help me. 8. Excuses - I don’t know where or how to start. 9. Negotiation mode - I will just stick this out for a few more years, things will be OK.
10. Blame - It’s not me, it the economy. I was really stuck after losing my dad over 2 years ago. I finally sought out Andrea to help solve some sleep issues. The first session felt like I was floating on clouds, I felt weightless and totally relaxed for the first time in my life. When I was finished the session, I felt like a weight had been lifted. For the first time in 2 years, I could sleep peacefully and I felt so well-rested. She literally eased my mind and I could finally let go of all the fear, guilt and stress that I have been carrying for far too long. The second session was even more powerful, she provided me with a personalized CD that I could use at home if I got stuck with my own negative self-talk. I still use it once and a while to bring me back to the feeling of complete relaxation and releasing anxiety. I love it! I feel such freedom and joy in my life again. I am finally rested and feel restored. I can’t wait to embrace each day. The power of the mind is a useful thing. This really works. I have a small business and I was tired of not going anywhere. I made enough money to get by, but after 4 years I really was getting depressed and lifeless about my company. I loved what I do, but I couldn’t figure out why I wasn’t more successful. My first financial abundance session with Andrea opened my eyes. I could not believe that I was holding myself back. My old beliefs around money were based on my parent’s old beliefs as I was growing up. It was there staring at me in the face. These old beliefs entrenched in my mind were not allowing me to succeed or grow in my own life. The shift was incredible and energizing. I could not wait to see what would happen each day. It was like the universe shifted for me and doors started to open up. I feel so empowered and I was shocked at my own inner strength came shining through, I didn’t even know I had inner strength! My bottom line is up over 25% in just a few months. People would ask me what did I change my business, it was so easy- all I need was to change my mindset. My world has changed, not just financially, but in all areas of my life. I had the privilege of seeing Andrea at a time in my life when I knew I wanted to move forward but I couldn't stop those old tapes in my head blocking me from my future. I was nervous about the idea of hypnotherapy, of course I knew nothing of the actual practice, just an ill conceived idea about someone tinkering around in my brain while I'm completely unaware. Andrea took the time to explain what the process was and how we would go about it (I was WAY off base by the way). She was kind, gentle and completely non-judgemental. I felt at ease telling her about my past, how some of these deeply rooted beliefs took hold and the chaos I was dealing with in my present life. Vanessa B. Lady Smith B.C. Just released Feb 2019- Mother.... Mother.... May I ? A complete healing manual that includes 2 healing Hypnosis session to use in the comfort of your home. Does the question of “Why can’t I do anything right?” seem to come up more often then you like? Do holidays shape up to be more stressful than joyful? Do you often feel guilty, stressed out and confused as to why you make the decisions you do that don’t always serve you? Do you cringe or start to feel nauseated when you see the call display and your mother’s name comes up? I was raised in a home by a Narcissistic mother and I can tell you undeniably that never being “good enough” is without a doubt the negative thought pattern that will haunt you for the rest of your life. You may just be coming into the harsh reality or maybe you are simply entertaining the likelihood that your mother is or might be a narcissist. Have you googled the internet looking for information or someone to explain this irrational and confusing relationship with a woman who calls herself Mother? You may laugh or maybe cry when you read this article. Understanding and discovering that you are not crazy is the first step to unlocking the toxic programming of a narcissist mother. So where do you begin? My experience and acceptance has been a very personal journey, the constant emotional, verbal and physical abuse were used as an excuse and a constant reminder that I was not entitled love. My relentless task to try to please my mother was never up to her standards and how could they be? I was dealing with a mother with a spectrum disorder. Most adult children of narcissists never get the help they need to recover and heal, because they have no idea that what they’ve experienced as children is unhealthy and destructive. Armed with this knowledge and being a Clinical Hypnotherapist, I began to write the first ever Healing and Recovery Manual that come with two meditation/hypnosis downloads. For the first time readers can listen and begin their own journey to taking back their life with changing negative thoughts and belief patterns. Mother, Mother may I ? is written by local Clinical Hypnotherapist Andrea Wagemaker. Her manual has just been picked up by Amazon and also available through her website: Shifthynotherapy.ca or contact Andrea directly 250-338-3401. If you are a daughter of a Narcissistic Mother, this guide is the 1st ever healing guide that starts with the guidance and wisdom you will need to move forward in a life for you. All written and audio material is copy written and not be copied without written permission from Andrea Wagemaker. This healing manual is produced and written with both personal experience and professional research. Cost of complete guide and CD's (or downloads- I will send personally to you through email) ......$30.00 Canadian funds -this also includes taxes and postage to your home. This complete guide is also avail on Amazon.ca and through this web-site or at my office located: 206-1819 Beaufort. Imagine feeling at peace with yourself. New doors open and you will notice a dramatic difference in your health and your sleep. Being a daughter of a narcissistic mother does not define you, give yourself the gift of acceptance. You are deserving and worthy to move into a new chapter of your life. At the end of each session you will will start making healthy decisions for yourself and start taking control. Does the question of “Why can’t I do anything right?” seem to come up more often then you like? If you are reading this, there is a reason, chances are you may have suffered the abuse of a self-involved, egotistic mother. My goal is for you to start the healing process through your experience of emotional and mental destruction, one that comes with narcissistic abuse. Through this process you will discover your true self. Get ready to take back your power and stop the gaslighting and manipulation. As a daughter of a narcissistic mother, my feelings were not validated, the constant emotional, verbal and physical abuse were used as an excuse and a constant reminder that I was not entitled love. These healing sessions have been very powerful in my own self recovery and I learned the greatest gift you can give yourself and your children is stopping the toxic legacy. I recognized my own self sabotaging actions and how I was allowing my programming to ruin my life. It all changed when I found the strength to halt it once and for all. Let the healing process begin with you. I understand the toxic programming that leaves you wondering why you can’t seem to do anything right. It is a topic that daughters are not suppose to talk about, after all this is your mother. Through Hypnosis and a personalized coaching program, you will begin to start taking control of your negative thought patterns, reclaim your life and stop the toxic legacy. One particular area where hypnosis has been shown to be extremely effective is before and after surgery. Hypnosis can help to relieve the intense anxiety that often strikes before undergoing a surgical procedure as well as help control pain and speed recovery after surgery. Imagine reducing your anxiety levels regarding your upcoming medical procedure and remaining calm, relaxed, and stress free prior, during, and after the operation? PreOp Hypnosis sesssions specialises in helping people reduce their anxiety around all types of medical procedures. From dental surgery, Cancer treatments to major operations, Hypnosis helps in alleviating general symptoms and side effects of stress, nervousness, uneasiness, or fear usually experienced prior to having surgery whether it be a simple day procedure or a major operation. When used before surgery, the benefits of hypnosis go beyond just allowing a patient to remain calm and reducing stress. That nervous, anxious feeling that accompanies most people into the operating room has been linked to patients experiencing more pain, a greater need for painkillers, and longer stays in the hospital after surgery. It has been proven that preoperative anxiety can have big effects on postoperative recovery. If you have any type of surgical procedure in your future, hypnosis can help to relieve the anxiety and stress leading up to the procedure, which, in turn, will reduce the risk of complications and prepare your body for a speedier recovery with less pain, and less need for drugs. 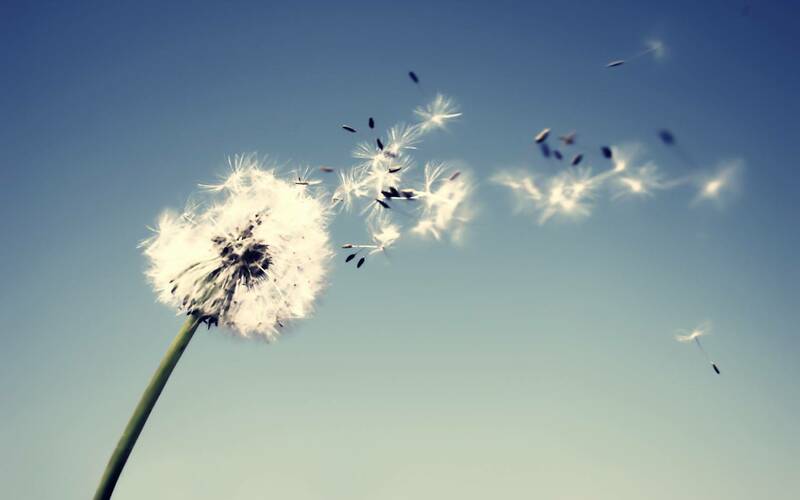 After your surgery, hypnosis will allow you to maintain a calm and relaxed state of mind that is conducive to faster and more complete healing. Home Visits are available $170.00 per session + $25.00 travel fee in the Comox Valley Area - includes all materails, a MP3 download or cd for playing anytime pre-op and post-op. If you are outside the Comox Valley Area - please contact me directly for travel fees.